Because of my own longstanding interest in developing thoughtfully-designed nonviolent strategies in our struggle to make our world one of peace, justice and ecological sustainability, let me suggest a strategic way forward that will honor the courage of Julian and Chelsea by maximizing the impact of their truth-telling on the longer-term struggles just mentioned while also taking separate action to provide some additional pressure to assist them in the short and medium terms. Nonostante enormi sforzi continui per più di un millennio, durante e a partire dalla formazione e plasmazione del mondo moderno, e con il costante aumento delle tematiche contestate, gli attivisti di vario genere hanno fatto progressi insufficienti su punti chiave, particolarmente in relazione al porre fine alla violenza e alla guerra (e alla minaccia della guerra nucleare), al fermare lo sfruttamento di molti popoli e gli infiniti assalti alla biosfera terrestre. Despite enormous ongoing effort over more than a thousand years, during and since the formation and shaping of the modern world, and as the number of issues being contested has steadily increased, activists of many types have made insufficient progress on key issues, particularly in relation to ending violence and war (and the threat of nuclear war), stopping the exploitation of many peoples and halting the endless assaults on Earth’s biosphere. 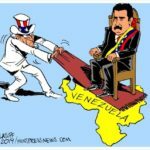 To the People of Venezuela: Recently I wrote an article explaining how you could defeat, using nonviolent strategy, the US coup attempt that is taking place in your country. I would like to complement that article by now briefly explaining how you can also defeat a military invasion by the United States and any collaborating invaders by using a strategy of nonviolent defense as well. Para o povo da Venezuela: Recentemente eu escrevi um artigo explicando como você poderia derrotar, usando a estratégia não-violenta, a tentativa de golpe dos EUA que está ocorrendo em seu país. Gostaria de complementar esse artigo explicando brevemente como você também pode derrotar uma invasão militar dos Estados Unidos e de qualquer invasor colaborador usando uma estratégia de defesa não-violenta também. To the People of Venezuela – Yet again, the United States elite has decided to attempt to impose its will on the people of another nation, in this case, and not for the first time either, your country Venezuela. Your ongoing resistance to the coup is essential if you are to defeat the coupmakers and defend your elected government. But the chances of success are vastly enhanced if your struggle, and that of your solidarity allies around the world, is focused for maximum strategic impact and designed to spread the cost of doing so. Of course, whether or not you decide to consider and/or adopt my proposed strategy, you have my solidarity. For Gandhi, conflict was a perennial condition. He also viewed it positively and considered it desirable. For him, it is an important means to greater human unity precisely because their shared conflict could remind antagonists of the deeper, perhaps transcendental, unity of life. He viewed violence differently, however: violence was built into social structures and not into people. Gandhi was assassinated on 30 Jan 1948. But his legacy lives on. Despite the obvious fact that it is human beings who are inflicting all of this violence, it is virtually impossible to get people to pay attention to this simple and incontrovertible fact and to ask why, precisely, are human beings behaving in such violent and destructive ways? And can we effectively address this cause? Whether politically, militarily, socially, economically, financially or ecologically, humanity took some giant strides backwards while passing up endless opportunities to make a positive difference in our world. Let me, very briefly, identify some of the more crucial backward steps. 12 Dec 2018 – Tragically, it is that most hallowed of institutions – school – which I call ‘prison for children’ where much of the damage is done. Designed to terrorize children into obedience and conformity on the basis that ‘one size fits all’, school destroys the physical, sensory, intellectual and emotional capacities of children churning out individuals with near-zero capacity to feel anything profound, think creatively and behave powerfully with integrity. 27 Nov 2018 – Have you heard the expression ‘climate change’? That lovely expression that suggests a holiday in a place with a more pleasant climate… Extinction beckons. The choice is yours. L’autore e commentatore sociale britannico H.G. Wells ha forse coniato l’espressione che rese originariamente popolare la 1ª Guerra mondiale: La guerra che porrà fine alle guerre, secondo il titolo del suo libro basato su articoli scritti durante quel vasto conflitto militare. Por fine alla Guerra non è impossibile; tutt’altro, effettivamente. Ma ci vorrà una quantità fenomenale d’intelligente sforzo strategico, coraggio e dedizione. British author and social commentator H.G. Wells may have coined the expression that originally popularized World War I as The War that Will End War, as his book, based on articles written during that vast military conflict, was titled. Ending war is not impossible. Far from it, in fact. But it is going to take a phenomenal amount of intelligent strategic effort, courage and commitment. El continuo aumento del fascismo en todo el mundo está atrayendo cada vez más la atención, sobre todo porque se necesita un mayor control dentro de las sociedades nacionales que durante mucho tiempo se ha visto que lo han rechazado. Algunos estudios recientes nos han recordado las características de los movimientos e individuos fascistas, particularmente cuando se manifiestan entre fascistas políticamente activos. 29 Oct 2018 – The continuing rise of fascism around the world is drawing increasing attention particularly as it takes firmer grip within national societies long seen to have rejected it. Some recent studies have reminded us of the characteristics of fascist movements and individuals, particularly as they manifest among politically active fascists. This is the latest six-monthly report on progress in relation to ‘The People’s Charter to Create a Nonviolent World’ together with a sample of news about Charter signatories and organizations. Our collective effort to build a worldwide consensus against the use of violence in all contexts continues to make progress, even against rather overwhelming odds! This $41 trillion represents the wealth invested for profit by thousands of millionaires, billionaires and corporations. The seventeen Giants operate in nearly every country in the world and are ‘the central institutions of the financial capital that powers the global economic system’. They invest in anything considered profitable, ranging from ‘agricultural lands on which indigenous farmers are replaced by power elite investors’ to public assets (such as energy and water utilities) to war. Questi 41 trilioni di dollari rappresentano la ricchezza investito per profitto da migliaia di milionari, miliardari e imprese. I diciassette Giganti operano in quasi ogni paese del mondo e sono “le istituzioni centrali del capitale finanziario che alimenta il sistema economico globale”. 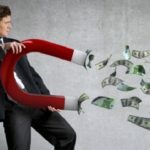 Investono in qualsiasi cosa sia considerata redditizia da “terre agricole sulle quali i coltivatori indigeni sono sostituiti da investitori dell’élite del potere” ad attività pubbliche (quali le reti elettriche e idriche). The evidence in relation to destruction of the Earth’s biosphere, leading to ongoing and rapid degradation of all ecosystems and their services, is readily available and overwhelming. The many and varied forms of destruction are having synergistic impact. An insignificant amount of the vast evidence in relation to this destruction is sampled here. It is going to be a tough fight for human survival, particularly this late in the ‘game’. The military forces of the United States are not intended to defend it against military attack. The military forces of the countries in NATO are not intended to defend them against military attack. The military forces of the USA and NATO are controlled by the global elite and used by them to aggressively attack, in violation of all relevant national and international laws, any country that seeks independent control and development of its resources, particularly fossil fuels, strategic minerals and water. The global elite, which is in total control of the global economy and world affairs generally, does this in order to expand its own power, profit and privilege. It does this no matter what the cost to any individual (outside the elite), people, country and the biosphere. Why does the global elite do all of this? Because it is completely insane. So what do we do? 11 Jul 2018 – While the world watched and waited with bated breath for the outcome of the substantial global effort – involving over 100 cave divers from various countries, 1,000 members of the Thai Army and 10,000 others in various roles – to rescue a team of 12 young football players and their coach, who were trapped inside a flooded cave in Thailand for 17 days, 850,000 children were killed by human adults in other parts of the world, many of them simply starved to death in Yemen or other parts of Africa, Asia and Central/South America. Let me illustrate and explain the nature and extent of this secret war and what we can do about it. .. We can acknowledge the painful truth that we inflict enormous violence on our children (which then manifests in a myriad complex ways) and respond powerfully to that truth. Or we can keep deluding ourselves and continue to observe, powerlessly, as the violence in our world proliferates until human beings are extinct. Un lungo articolo di non facile lettura che propone una marea di fonti di approfondimento. L’autore Robert J. Burrowes traccia un quadro complesso di un umanità follemente omicida-suicida. Cercando di individuare le cause suggerisce vie di uscita. I would like to tell you something about human depravity and illustrate just how widespread it is among those we often regard as ‘responsible’ and am going to use the Democratic Republic of the Congo as my example. As I illustrate and explain what has happened to the Congo and its people during the past 500 years, I invite you to consider my essential point. I would like to explain the psychological origin of this biosphere-annihilating conflict and how this origin has nurtured the incredibly destructive aspects of capitalism (and socialism, for that matter) from the beginning. I would also like to explain what we can do about it. 23 abril 2018- Nuestro esfuerzo colectivo para construir un consenso mundial contra el uso de la violencia en todos los contextos continúa progresando, ¡incluso en contra de obstáculos abrumadores! While conflict theories and resolution processes advanced dramatically during the second half of the 20th century, particularly thanks to the important work of several key scholars such as Professor Johan Galtung, significant gaps remain in the conflict literature on how to deal with particular conflict configurations. Notably, these include the following four. 21 Mar 2018 – In 2014 I wrote an article titled ‘The Global Elite Is Insane’. I want to elaborate what I explained in the earlier article so that people have a clearer sense of what we are up against in our struggle to create a world of peace, justice and ecological sustainability. On Track for Extinction: Can Humanity Survive? 26 Feb 2018 – I don’t know. But it’s a safe bet that Earth would be a contender were such a competition to be held. Let me explain why. To start, just listing the types of rubbish generated by humans or the locations into which each of these is dumped is a staggering task beyond the scope of one article. The US Department of Defense released its latest ‘Nuclear Posture Review 2018’ on 2 February. Several authors have already thoughtfully exposed a phenomenal variety of obvious lies, invented threats, strategic misconceptions and flaws – such as the fallacious thinking behind ‘deterrence’ and significantly increased risk of nuclear war given the delusional ‘thinking’ in the document – as well as the political fear-mongering in the NPR. So what can we do? Well, I would tackle the problem at several levels and I invite you to consider participating in one or more of these. 24 Jan 2018 – The lack of solidarity is utterly pervasive and readily evident in our lacklustre official and personal responses to the many ongoing crises in which humanity finds itself. To mention just the most obvious: Every day governments spend $US2 billion on weapons and warfare while a billion people lack the basic resources to live a decent life (and more than 100,000 of these people starve to death)… So what can we do? 10 Jan 2018 – Cambodian activists require enormous courage to take nonviolent action as the possibility of violent state repression in response to popular mobilization is a real one. So what can Cambodians do? Fortunately, there is a long history of repressive regimes being overthrown by nonviolent grassroots movements. And nonviolent action has proven powerfully effective in Cambodia with Buddhist monk Maha Gosananda. Il y a plusieurs années au Cameroun, un pays d’Afrique de l’Ouest, un rhinocéros noir occidental a été tué. C’était le dernier de son genre sur Terre. 6 Dec 2017 – In his remarks on the recent International Day for the Elimination of Violence Against Women UN Secretary-General António Guterres inadvertently demonstrated why well-meaning efforts being undertaken globally to reduce violence against women fail to make any progress in addressing this pervasive crisis. Unless and until you make a conscious personal decision to participate strategically in the struggle to save life on Earth, you will be one of those individuals who kills the biosphere as a byproduct of living without awareness and commitment. So next time you ponder the fate of humanity, which is inextricably tied to the fate of the Earth, it might be worth considering the unparalleled beauty of what Earth has generated. 15 Nov 2017 – For those who follow news in the United States, the routine killing of innocent civilians by the police has become a national crisis despite concerted attempts by political and legal authorities and the corporate media to obscure what is happening. So far this year, US police have killed 1,044 people. In contrast, from 1990 to 2016, police in England and Wales killed just 62 people. So why are the police so violent? you might ask. 24 Oct 2017 – Around the world activists who are strategic thinkers face a daunting challenge to effectively tackle the multitude of violent conflicts, including the threat of human extinction, confronting human society in the early 21st century… Given the overwhelming violence that we must tackle, can we succeed? I do not know but I intend to fight, strategically, to the last breath. I hope that you will too. While there has been a flood of commentary on the incident, including suggestions about what might be done in response based on a variety of analyses of the cause, none that I have read explain the underlying cause of all these mass killings. And if we do not understand this, then any other suggestions, whatever their apparent merits, can have little impact. Racism – fear of, and hatred for, those of another race coupled with the beliefs that the other race is inferior and should be dominated (by your race) – is now highly visible among European populations impacted by refugee flows from the Middle East and North Africa. In addition, racism is ongoingly and highly evident among sectors of the US population but also in countries like South Africa as well as Australia and throughout Central and South America where indigenous populations are particularly impacted. The ‘magic rat’ is simply the mechanism by which an unconscious and terrified mind instantly switches its attention from something frightening to something more pleasant to avoid having any time to consciously engage with the presented information. The switch happens instantaneously. 26 Jul 2017 – Human beings are now waging war against life itself as we continue to destroy not just individual lives, local populations and entire species in vast numbers but also destroy the ecological systems that make life on Earth possible. In 1932, Sigmund Freud and Albert Einstein conducted a correspondence subsequently published under the title ‘Why War?’ In many ways, this dialogue between two giants of the 20th century is symbolic of the effort made by many humans to understand the institution of war. In a recent article, the founder of peace research, Professor Johan Galtung, reminded us of the legacy of Freud and Einstein and reflected on their dialogue, noting some shortcomings including their failure to ‘unpack conflict’. 26 Jun 2017 – It is a tragic measure of the depravity of human existence that genocide is a continuing and prevalent manifestation of violence in the international system. It is not difficult to nonviolently defend a targeted population against genocide. Vitally, however, it requires a leadership that can develop a sound strategy so that people are mobilized and deployed effectively. So if you or someone you know is supposed to have a ‘mental illness’ such as anxiety, depression, schizophrenia, obsessive-compulsive disorder (OCD), bipolar disorder, anorexia nervosa or post-traumatic stress disorder (PTSD), I would like to give you the opportunity to consider an explanation and a way forward that you are unlikely to have come across. 22 May 2017 – One inevitable outcome of the phenomenal violence we all suffer as children is that most of us live in a state of delusion throughout our lives. This makes it extraordinarily difficult for accurate information, including vital information about the endangered state of our world and how to respond appropriately, to penetrate the typical human mind. Mientras gran parte del mundo está envuelto en violencia de uno u otro tipo (ya sea violencia en el hogar o en la calle, explotación, destrucción ecológica o la guerra), una red global de individuos y organizaciones se han comprometido a ponerle fin a la violencia en todas sus manifestaciones. 24 Apr 2017 – While much of the world is engulfed in violence of one sort or another (whether violence in the home or on the street, exploitation, ecological destruction or war), a global network of individuals and organizations is committed to ending this violence in all of its manifestations. Here is an outline of what some of these individual signatories of ‘The People’s Charter to Create a Nonviolent World’ are doing. You are welcome to join them. Given the overwhelming evidence that violence is rampant in our world and that the violence of the legal system simply contributes to and reinforces this cycle of violence, it seems patently obvious that we would be better off identifying the cause of violence and then designing approaches to address this cause and its many symptoms effectively. And reallocating resources away from the legal and prison systems in support of approaches that actually work. So what are we to do? Well, if you are inclined to resist the diabolical actions of Donald Trump (and his insane and violent equivalents in the United States and other countries around the world), I invite you to respond powerfully. This includes maintaining a large measure of empathy for the emotionally damaged individual who is now president of the US (and his many equivalents). It also includes recognizing that this individual and his equivalents are the current ‘face’ of a global system of violence and exploitation built on many long-standing structures that we must systematically dismantle. Nonviolent action is extremely powerful. Unfortunately, however, activists do not always understand why nonviolence is so powerful and they design ‘direct actions’ that are virtually powerless. I would like to start by posing two questions. Sizin bu yazıyı okuduğunuz gün, yeryüzünde 200 türün ( bitki, kuş, hayvan, balık, amfibi, böcek, sürüngen ) varlığı ortadan kalkmış olacak. Ertesi gün bir 200 tür daha sonsuza kadar yok olmuş olacak. The human onslaught to destroy life is unprecedented in Earth’s history. 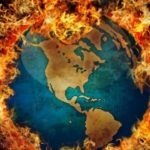 Planet Earth is now experiencing its sixth mass extinction event and Homo sapiens sapiens is the cause… One of the hidden tragedies of modern human existence is that we have been terrorized into believing that we are not personally responsible. And every time you decide to do nothing and to leave it to someone else, you demonstrate why no-one else should do anything either. As I see and read about the ongoing massive protests, as well as calls by prominent community leaders to mobilize in defense of your country’s democracy, I feel great hope for Brazil. Having been a nonviolent activist for many years, I would like to support Brazilian activists to develop a nonviolent strategy that will increase your chances of success. One of the more subtle manifestations of the intimate link between (unconscious) human emotions and behaviour is illustrated by the simple concept of choice and how this is so often reduced to a dichotomy between two bad options. In such circumstances, most people choose whatever they consider to be ‘the lesser evil’. 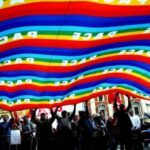 All’inizio del 2011, mentre le Primavere Arabe si diffondevano nel Nord Africa e nel Medio Oriente, in Siria, sottoposta alla legge marziale dal 1963, piccoli gruppi di attivisti nonviolenti iniziarono a protestare contro la dittatura brutale di Bashar al-Assad e a chiedere riforme democratiche, il rilascio dei prigionieri politici, maggiori libertà, l’abolizione della legge d’emergenza e la fine della corruzione. It is the responsibility of the struggle’s strategic leadership to ensure that each of the strategic goals, which should be identified and prioritized according to their precise understanding of the circumstances in Syria, is being addressed. So here is a set of strategic goals to end the war in/on Syria. A julgar pelos protestos que têm sido noticiados, bem como pelas mobilizações por influentes líderes comunitários em defesa da democracia, nutro grandes esperanças pelo Brasil. Tendo sido um ativista da não-violência por muitos anos, gostaria de oferecer o meu apoio para que os ativistas brasileiros possam desenvolver uma estratégia não-violenta que irá aumentar suas chances de sucesso. Next time you hear a public official, judge, terrorist or police officer promising ‘justice’ (that is, retribution), remember that you are listening to an emotionally damaged individual who suffered enormous violence as a child and internalized the delusional message that ‘punishment works’. You might also ponder how bad it could be if we didn’t require obedience and use punishment to get it, but loved and nurtured children, by listening to them deeply, to become the unique, enormously loving and powerful individuals for which evolution genetically programmed them. 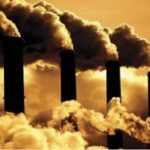 As the evidence mounts that we are fast approaching the final point-of-no-return beyond which it will be impossible to take sufficient effective action to prevent climate catastrophe – the evidence of ineffective official responses climbs too. So what are we to do? 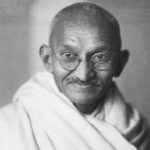 La vita di Gandhi fu contrassegnata da molte citazioni memorabili, ma una che è meno nota è questa: “Non puoi mai sapere quali risultati produrranno le tue azioni, ma se non fai nulla non ci saranno risultati”. Fortunatamente ci sono molte persone impegnate che hanno identificato l’importanza di agire per por fine alla violenza nel nostro mondo. As I see and read about the ongoing massive protests, as well as calls by prominent community leaders to mobilize in defense of your country’s democracy, I feel great hope for Brazil. Having been a nonviolent activist for many years, I would like to support Brazilian activists to develop a nonviolent strategy that will increase your chances of success. Please read on. Gandhi’s life was dotted with many memorable quotes but one that is less well known is this: ‘You may never know what results come of your actions but if you do nothing there will be no results’. 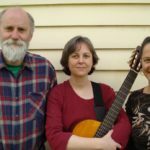 Fortunately, there are many committed people who have identified the importance of taking action to end the violence in our world – whether it occurs in the home or on the street, in wars, as a result of economic exploitation or ecological destruction – and this includes the courageous people below. To reiterate: I am not saying ‘Don’t vote and do nothing’ (as so many people do already). I am suggesting that you ponder the dysfunctionality of your society, do some research into the secretive ‘deep state’ (or military-industrial complex or power elite or the 1% or however you wish to describe it) that controls your ‘republic’ with its electoral system designed to delude you into believing that you have a say in governing your nation, and then consider how you want to engage politically and act in accord with your conscience in doing so. 5 Sep 2016 – As I see and read about the ongoing massive protests, as well as calls by prominent community leaders to mobilize in defense of your country’s democracy, I feel great hope for Brazil. Having been a nonviolent activist for many years, I would like to support Brazilian activists to develop a nonviolent strategy that will increase your chances of success. Please read on. The incorrect attribution of Gandhi’s insights to others starts on page 3 of the book where Gene Sharp is credited with an ‘epiphany … that nonviolence should not be simply a moral code for a small group of true believers to live by’. But it is not exclusively the fault of the authors that they incorrectly attribute Sharp because Sharp himself claims credit for this insight and they cite his claim, from an interview conducted in 2003, on page 4. Yaşantımızı sürdürmek üzere günlük kararlarımızın alınmasında etkili ve dünyevi konularda da önem arz eden iki faktör; din ve ideolojidir. There is a long history of anti-war and peace activism. Much of this activism has focused on ending a particular war, other at ending a particular aspect of war, such as the use of a type of weapon. Some of it has aimed to prevent a type of war, such as ‘aggressive war’ or nuclear war. For those activists who regard war as the scourge of human existence, however, ‘the holy grail’ has always been much deeper: to end war. At the macro level, there are worldwide or regional ideologies such as capitalism, fascism, conservatism, communism, socialism, feminism, pacifism and environmentalism as well as religions including Buddhism, Christianity, Hinduism, Islam and Judaism. There are also variations of these major ideologies and religions. But even at the micro level, the local service club, neighborhood charity and sporting club operates in accordance with an ideology or religion that is shared by its members too. You might have had a good laugh at some of the examples above. The real challenge is to ask yourself this question: where do I evade responsibility? And to then ponder how you will take responsibility in future. Deeply affected by the death of my two uncles in World War II, on 1 July 1966, the 24th anniversary of the USS Sturgeon sinking of the Japanese prisoner-of-war ship Montevideo Maru which killed the man after whom I am named, I decided that I would devote my life to working out why human beings are violent and then developing a strategy to end it. Here is my report on 50 years of concerted effort to understand and end human violence. There is a long history of social critics and progressive thinkers offering critiques of human society. While these and other critiques have much to offer, if we want to trace the origin of the dysfunctional and violent human behaviours that now threaten human extinction, I believe it is necessary to examine what has been happening since the Neolithic (agricultural) revolution some 12,000 years ago. Infatti ora, naturalmente, i musulmani sono l’obiettivo primario di questa paura e odio di se stessi proiettati, cosa che spiega la guerra dell’Occidente al Medio Oriente guidata dagli Stati Uniti. L’islamofobia quindi permette alle élite e ad altri di proiettare la loro paura e il loro odio per se stessi contro i musulmani, cosicché le élite possano poi cercare di distruggere questa paura e questo odio. Ovviamente, questo non può funzionare. Non si può distruggere la paura, sia propria che di chiunque altro. Si può tuttavia causare un danno eccezionale a coloro contro i quali sono proiettati la propria paura e il proprio odio per se stessi. Naturalmente, non c’è nulla di intelligente in questo processo. For now, of course, Muslims are the primary target for this projected fear and self-hatred, which accounts for the US-led western war on the Middle East. Islamophobia thus allows elites and others to project their fear and self-hatred onto Muslims so that elites can then seek to destroy this fear and self-hatred. Obviously, this cannot work. You cannot destroy fear, whether yours or that of anyone else. However, you can cause phenomenal damage to those onto whom your fear and self-hatred are projected. Of course, there is nothing intelligent about this process. My friendly criticism is directed at those key organizers who planned the nonviolent actions without understanding how to make the commitment and courage of those who were mobilized have maximum strategic impact on the ongoing climate catastrophe. Ma le mie considerazioni, amichevolmente critiche, sono rivolte agli organizzatori principali, che hanno progettato quelle azioni nonviolente senza capire in che modo la dedizione e il coraggio delle persone che sono state coinvolte potessero avere il massimo impatto possibile. There is an important reason why wealthy individuals want to maximise their wealth and evade contributing to any country that gave them the opportunity to make this wealth. You might think that you know this reason too: greed. However, greed is a simplistic explanation that fails to explain, psychologically, why an individual might be greedy. So let me explain it now. Here is the latest six-monthly report on progress in relation to ‘The People’s Charter to Create a Nonviolent World’ and a sample of news about Charter signatories. Building a worldwide consensus against the use of violence in all contexts is quite a challenge but we are making solid progress! Do you think that ending human violence is impossible? Do you believe that even aiming to do so is unrealistic? Well, you might be right. But you might also be interested to know that there are a lot of people around the world who are committed to trying. And, if you think the aim is worthwhile, you could be one of them. Conscious self-hatred is an intensely unpleasant feeling to experience and, consequently, people who feel self-hatred learn to fearfully and deeply suppress their awareness of it when they are very young. Having learned to do this, subsequent opportunities for this self-hatred to be felt are progressively more easily suppressed. I emphasise the word fearfully suppressed. We have recently been discussing your ongoing courageous struggle to liberate yourselves from more than 100 years of occupation, first by the Netherlands, briefly and brutally by Japan during World War II, and now by Indonesia. In that regard, we would each like to share a brief message with you, our friends from West Papua. A new book, edited by Nick Buxton and Ben Hayes, both involved with The Transnational Institute, brings together a thoughtful collection of scholars, journalists and activists to explain the pre-eminence of the military and corporations in shaping the global response to the climate catastrophe as an ‘opportunity’. In Jason MacLeod’s new book, Merdeka and the Morning Star: Civil Resistance in West Papua, the failure to develop a comprehensive strategy of any kind, violent or nonviolent, to liberate West Papua is overwhelmingly evident. And MacLeod does an excellent job of identifying why this has happened as he provides us with an overview of the history and geopolitical circumstances of the occupation of West Papua as well as a history of the resistance, both violent and nonviolent, to this occupation. it is two things that drive species over the edge: our systematic destruction of land habitat – forests, grasslands, wetlands, peatlands, mangroves… – in our endless effort to capture more of the Earth’s wild places for human use (whether it be residential, commercial, mining, farming or military) and our destruction of waterways and the ocean habitat by dumping into them radioactive contaminants, carbon dioxide, a multitude of poisons and chemical pollutants, and even plastic. The Climate Talks in Paris Will Fail. Why? As a nonviolent activist, I have never asked elites (or their governments and corporations) to change their behaviour. Instead, I have invited them to respond powerfully to circumstances that I create that compel change. If I invite others to participate in the action I am taking and enough do so, elites have no choice but to act as I prefer. Let me give some examples to explain this. In the book ‘The WikiLeaks Files: The World According to US Empire’ we are taken on a journey to understand just how the world works if we read the ‘top secret’ correspondence of those who regard themselves as our masters. Following a thoughtful contextual introduction by Julian Assange, our journey is guided by eighteen first-rate scholars who carefully explain the significance of a range of WikiLeaks-released documents in relation to the region of the world in which they specialize. Here is the latest six-monthly report on progress in relation to ‘The People’s Charter to Create a Nonviolent World’ and a sample of news about, and reports of forthcoming events by, Charter signatories. On behalf of those of us who struggle to honor Gandhi’s legacy to the world, I would like to wish Mohandas Karamchand (Mahatma) Gandhi ‘happy birthday!’ He was born on 2 October 1869. Gandhi’s dream of a world without violence might be fanciful. But, as John Lennon once sang, he is ‘not the only one’. Many of us share this dream. Are you a dreamer too? In his just-released book, ‘Disaster Capitalism: Making a Killing out of Catastrophe’, Antony Loewenstein offers us a superb description of the diminishing power of national governments and international organisations as multinational corporations consolidate their control over the political and economic life of the planet.